Where to Buy WorkHorse Tank Cleaner, WorkHorse Spray Tank Cleaner and Neutralizer - Gallon - $50.00 for Sale with Fast Free Shipping! 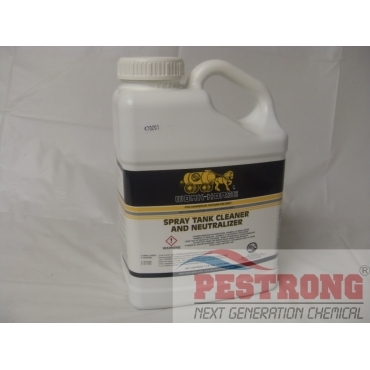 WorkHorse Spray Tank Cleaner and Neutralizer - Gallon is an effective, superior grade spray tank cleaner for agricultural use that will remove pesticide and adjuvant residues and hold them in the rinse solution. You will be totally satisfied that Work-Horse is the best tank Cleaner available. Very fast shipping, well packed, product performed well and the price was unbeatable! Product was shipped fast and was in a very sturdy carton. This is a very economical and effective broadleaf weed killer. Thanks for making this product available. I think broadleaf weed killer should be cheap like this, because added with specialty herbicide sometimes. Thanks for cheap price! Cheap and Good broadleaf weed killer. I used this for my lawn. It is good.